acrocindina Diakonoff, 1983 (Adoxophyes), Zool. Verh. Leiden 204: 120. TL: Indonesia, "Sumatra, Mt. Bandahara". Holotype: NCB. male. afonini Razowski, 2009 (Adoxophyes), SHILAP Revta. Lepid. 37: 50. TL: Vietnam, Mt. NgocLinh. Holotype: MNHU. male. aniara Diakonoff, 1941 (Adoxophyes), Treubia 18: 36. TL: New Guinea, Northwest New Guinea (Etappen Mt.). Lectotype: NCB. male. aurantia Clarke, 1976 (Adoxophyes), Insects Micronesia 9 (1): 127. TL: Micronesia, "Ponape, Colonia". Holotype: USNM. female. aurantiana Bradley, 1961 (Adoxophyes), Bull. Br. Mus. (Nat. Hist.) Ent. 10: 118. TL: Solomon Islands, Holotype: BMNH. male. aurata Diakonoff, 1968 (Adoxophyes), Bull. U.S. natn. Mus. 257 (1967): 11. TL: Philippine Islands, "Luzon, Mt. Makiling". Holotype: USNM. male. balioleuca Clarke, 1976 (Adoxophyes), Insects Micronesia 9 (1): 136. TL: Micronesia, "Ponape, N slope Tamatamansakir". Holotype: USNM. male. beijingensis "Zhou, Qui & Fu", 1997 (Adoxophyes), Entomotaxonomia 19: 130. TL: China, Beijing. Holotype: IZAS. male. bematica Meyrick, 1910 (Adoxophyes), Proc. Linn. Soc. N. S. W. 35: 206. TL: Solomon Islands, Treasury Island. Lectotype: BMNH. female. congruana Walker, 1863 (Dichelia), List Specimens lepid. Insects Colln. Br. Mus 28: 320. TL: China, Shanghai. Lectotype: BMNH. male. shanghaiana Walker, 1863 (Tortrix), List Specimens lepid. Insects Colln. Br. Mus 28: 327. TL: China. Shanghai. Lectotype: BMNH. male. controversa Diakonoff, 1952 (Adoxophyes), Verh. Konin. Neder. Akad. Weten. (2)49(1): 156. TL: New Guinea, New Guinea (Rattan Camp). Holotype: NCB. male. croesus Diakonoff, 1975 (Adoxophyes), Zool. Meded 48 (26): 297. TL: Indonesia, "SW Celebes, Lindoe Paloe". Holotype: BMNH. male. cyrtosema Meyrick, 1886 (Adoxophyes), Trans. ent. Soc. Lond. 1886: 276. TL: Tonga, Lectotype: BMNH. male. novohebridensis Diakonoff, 1961 (Adoxophyes), Annls Soc. ent. Fr. 130: 53. TL: New Hebrides. Holotype: MNHN. male. dubia Yasuda, 1998 (Adoxophyes), Trans. lepid. Soc. Japan 49: 167. TL: Japan, "Honshu, Osaka Prefecture, Mt.Inunakisan". Holotype: OPU. male. ergatica Meyrick, 1911 (Adoxophyes), Trans. Linn. Soc. Lond. 14: 267. TL: Seychelles, "Seychelles (Silhouette, Mare-aux-Cochons)". Lectotype: BMNH. female. fasciata Walsingham, 1900 (Adoxophyes), Ann. Mag. nat. Hist. (7)5: 482 TL: Japan, Honshu. Lectotype: BMNH. female. minor Shiraki, 1913 (Archips), Spec. Rep. Formosa Agric. Exp. Stn. 8 (1913): 356. TL: Taiwan. Formosa [Taiwan]. Holotype: Unknown. unknown. reticulana Hubner, [1818-1819] (Tortrix), Samml. Eur. Schmett. "7: pl. 43, fig. 271." TL: Europe. Syntype(s): Unknown. unknown. sutschana Caradja, 1926 (Capua), Dt. ent. Z. Iris 40: 41. TL: China. "Sutschan, Ussuri". Lectotype: MGAB. male. fasciculana Walker, 1866 (Tortrix), List Specimens lepid. Insects Colln. Br. Mus. 35: 1785. TL: Indonesia, "Molucca Islands, Ceram". Holotype: BMNH. male. luzonica "Sauber, in Semper", 1902 (Tortrix), Schmett. Philipp. 2: 703. TL: Philippine Islands. Luzon. Syntype(s): Unknown. unknown. flagrans Meyrick, 1912 (Adoxophyes), Exotic Microlepid. 1: 3. TL: Myanmar, Upper Burma [Myanmar] (Maymyo). Holotype: BMNH. female. furcatana Walker, 1863 (Dichelia), List Specimens lepid. Insects Colln. Br. Mus 28: 319. TL: USA, North America. Holotype: BMNH. male. heteroidana Meyrick, 1881 (Adoxophyes), Proc. Linn. Soc. N. S. W. 6: 429. TL: Australia, "Queensland, Rosewood". Lectotype: BMNH. male. ablepta Turner, 1945 (Adoxophyes), Trans. R. Soc. S. Austral. 69: 61. TL: Australia. "Queensland, Toowoomba". Holotype: QMB. female. amblychroa Turner, 1945 (Adoxophyes), Trans. R. Soc. S. Austral. 69: 61. TL: Australia. "Queensland, Toowoomba". Lectotype: QMB. male. honmai Yasuda, 1998 (Adoxophyes), Trans. lepid. Soc. Japan 49: 164. TL: Japan, "Honshu, Osaka Prececture, Sakai". Holotype: OPU. male. horographa Meyrick, 1928 (Adoxophyes), Exotic Microlepid. 3: 454. TL: Bismarck Archipelago, New Britain. Holotype: BMNH. female. instillata Meyrick, 1922 (Adoxophyes), Ark. Zool. 14(15): 2. TL: Australia, "Queensland, Herberton". Holotype: NHRS. male. lacertana Razowski, 2013 (Adoxophyes), Acta zool. cracov. 56: 52. TL: Indonesia, "Seram, Operation Raleigh, Solea". Holotype: BMNH. male. liberatrix Diakonoff, 1947 (Procalyptis), Tijdschr. Ent. 88: 341. TL: Christmas Island, Christmas Island [Australia]. Holotype: BMNH. male. libralis Meyrick, 1927 (Adoxophyes), Insects Samoa 3 (2): 69. TL: Samoan Islands, "Upolu, Apia". Holotype: BMNH. female. luctuosa Razowski, 2013 (Adoxophyes), Acta zool. cracov. 56: 54. TL: Indonesia, "Seram, Operation Raleigh, Solea". Holotype: BMNH. male. marmarygodes Diakonoff, 1952 (Adoxophyes), Verh. Konin. Neder. Akad. Weten. (2)49(1): 160. TL: New Guinea, New Guinea (Top Camp). Holotype: NCB. male. meion Razowski, 2013 (Adoxophyes), Acta zool. cracov. 56: 50. TL: Indonesia, "Seram, Operation Raleigh, Wahai". Holotype: BMNH. male. melia Clarke, 1976 (Adoxophyes), Insects Micronesia 9 (1): 133. TL: Micronesia, "Guam, Fabian". Holotype: USNM. male. melichroa Lower, 1899 (Capua), Proc. Linn. Soc. N. S. W. 24: 92. TL: Australia, "Queensland, Mackay". Syntype(s): SAMA. 1 female. rufostriatana Pagenstecher, 1900 (Tortrix), Zoologica 12 (29): 226 TL: New Guinea. New Guinea. Lectotype: BMNH. male. microptycha Diakonoff, 1957 (Adoxophyes), Mem. Inst. scient. Madagascar (E)8: 237. TL: Reunion Island, "Saint-Philippe, fort du Brl de Mare-Longue". Holotype: MNHN. male. mixtior Razowski, 2016 (Adoxophyes), Acta Zool. Cracov. 59: 53. TL: Fiji, Nairayawa. Holotype: USNM. male. moderatana Walker, 1863 (Tortrix), List Specimens lepid. Insects Colln. Br. Mus 28: 328. TL: Borneo, Sarawak. Holotype: BMNH. male. epizeucta Meyrick, 1910 (Adoxophyes), Proc. Linn. Soc. N. S. W. 35: 207. TL: New Guinea. New Guinea (Woodlark Island; Solomon Islands (Isabel Island). Lectotype: BMNH. female. insignifica Rothschild, 1915 (Parascaptia), Lepid. Br. Ornith. Union Wollaston Exped. 2 (15): 46. TL: New Guinea. New Guinea. Holotype: BMNH. unknown. prosiliens Meyrick, 1928 (Adoxophyes), Exotic Microlepid. 3: 454. TL: India. "Andaman Islands, Port Blair". Lectotype: BMNH. male. molybdaina Clarke, 1976 (Adoxophyes), Insects Micronesia 9 (1): 138. TL: Micronesia, "Ponape, Colonia". Holotype: USNM. male. nebrodes Meyrick, 1920 (Adoxophyes), Exotic Microlepid. 2: 339. TL: New Guinea, New Guinea. Lectotype: BMNH. male. negundana McDunnough, 1923 (Homona), Can. Ent. 55: 166. TL: Canada, "Manitoba, Aweme". Holotype: CNC. male. nemorum Diakonoff, 1941 (Adoxophyes), Treubia 18: 405. TL: Indonesia, "West Java, Mt. Gede, Tjibodas". Lectotype: ZMBJ. male. niuvudi Razowski, 2016 (Adoxophyes), Polskie Pismo Entomol. 85: 201. TL: Fiji, "Vanua Levu, Forest Area Niuvudi". Holotype: BMNH. male. olethra Razowski, 2013 (Adoxophyes), Acta zool. cracov. 56: 51. TL: Indonesia, "Seram, Operation Raleigh, Gunung Binaiya". Holotype: BMNH. male. orana Fischer von Roslerstamm, 1834 (Tortrix), Abbild. Berich. Ergnz Schmett.-Kunde 1: 13 TL: Germany, Bohemian Germany. Syntype(s): Unknown. unknown. panurga Razowski, 2013 (Adoxophyes), Acta zool. cracov. 56: 53. TL: Indonesia, "Seram, Operation Raleigh, Gunung Binaiya". Holotype: BMNH. male. panxantha Lower, 1901 (Capua), Trans. R. Soc. S. Austral. 25: 75. TL: Australia, "Queensland, Cooktown". Lectotype: SAMA. female. parameca Razowski, 2013 (Adoxophyes), Acta zool. cracov. 56: 52 TL: Indonesia, "Seram, Operation Raleigh, Gunung Binaiya". Holotype: BMNH. female. paraorana "Byun, in Byun et al. ", 2012 (Adoxophyes), Animal Cells and Systems 16: 156. TL: Korea, Namyangju. Holotype: KNA. male. parastropha Meyrick, 1912 (Adoxophyes), Exotic Microlepid. 1: 3. TL: India, "Assam, Khasi Hills". Lectotype: BMNH. male. centroluta Diakonoff, 1951 (Adoxophyes), Ark. Zool. (2) 3: 63. TL: India. Burma [Myanmar]. Holotype: NHRS. male. perangusta Diakonoff, 1960 (Adoxophyes), Verh. Konin. Neder. Akad. Weten. (2) 53 (2): 12. TL: Madagascar, East Madagascar. Holotype: MNHN. male. peritoma Meyrick, 1918 (Adoxophyes), Exotic Microlepid. 2: 167. TL: Madagascar, Madagascar (Antananarivo). Holotype: BMNH. male. perstricta Meyrick, 1928 (Adoxophyes), Exotic Microlepid. 3: 453. TL: Indonesia, Java. Lectotype: BMNH. female. planes Razowski, 2013 (Adoxophyes), Acta zool. cracov. 56: 50. TL: Indonesia, "Seram, Operation Raleigh, Gunung Binaiya". Holotype: BMNH. male. 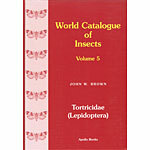 poecilogramma Clarke, 1976 (Adoxophyes), Insects Micronesia 9 (1): 125. TL: Micronesia, "Kusaie, Hill 1010". Holotype: USNM. male. privatana Walker, 1863 (Dichelia), List Specimens lepid. Insects Colln. Br. Mus 28: 320. TL: India, Hindostan. Holotype: BMNH. male. euryomis Meyrick in Gardiner, 1902 (Adoxophyes), Fauna Geogr. Maldive Laccadive Arch 1: 126. TL: India. Lectotype: UMCE. unknown. psammocyma Meyrick, 1908 (Epagoge), J. Bombay Nat. Hist. Soc. 18: 617. TL: India, Palni Hills. Lectotype: BMNH. male. revoluta Meyrick, 1908 (Epagoge), J. Bombay Nat. Hist. Soc. 18: 618. TL: India, "Assam, Khasi Hills". Holotype: BMNH. female. rhopalodesma Diakonoff, 1961 (Adoxophyes), Annls Soc. ent. Fr. 130: 56. TL: Indonesia, Waigeu Island (Camp Nok) [Indonesia]. Holotype: BMNH. male. telesticta Meyrick, 1930 (Adoxophyes), Trans. ent. Soc. Lond. 78: 310. TL: Mauritius, "Ile Maurice, Curepipe". Lectotype: MNHN. male. templana Pagenstecher, 1900 (Tortrix), Zoologica 12 (29): 225 TL: Bismarck Archipelago, New Pommern (Bismarck Archipelago). Holotype: BMNH. male. ioterma Meyrick, 1910 (Adoxophyes), Proc. Linn. Soc. N. S. W. 35: 205. TL: Australia. "Queensland, Cairns". Lectotype: BMNH. male. thelcteropa Turner, 1945 (Adoxophyes), Trans. R. Soc. S. Austral. 69: 60. TL: Australia. "North Queensland, Cape York". Holotype: QMB. male. tetraphracta Meyrick, 1938 (Adoxophyes), Trans. R. ent. Soc. Lond. 87: 505. TL: Papua New Guinea, Mt. Tafa. Lectotype: BMNH. male. acropeta Diakonoff, 1952 (Adoxophyes), Verh. Konin. Neder. Akad. Weten. (2)49(1): 159. TL: New Guinea. "New Guinea (Nassau Range, Top Camp)". Holotype: NCB. male. thoracica Diakonoff, 1941 (Adoxophyes), Treubia 18: 33. TL: New Guinea, "North New Guinea (Head Camp, near Malu)". Lectotype: NCB. male. trirhabda Diakonoff, 1969 (Adoxophyes), Zool. Meded 43: 1. TL: Papua New Guinea, "Central District, Konedabu". Holotype: BMNH. male. vindicata Meyrick, 1910 (Adoxophyes), Proc. Linn. Soc. N. S. W. 35: 207. TL: Solomon Islands, Choiseul. Holotype: BMNH. female. vitilevu Razowski, 2016 (Adoxophyes), Polskie Pismo Entomol. 85: 200. TL: Fiji, Viti Levu Nandarivatu. Holotype: BMNH. male.